We offer a comprehensive and exciting range of LED solutions for businesses. Whether it's your company logo or you want to create a stunning focal point, we can advise on the best LED product for the job. 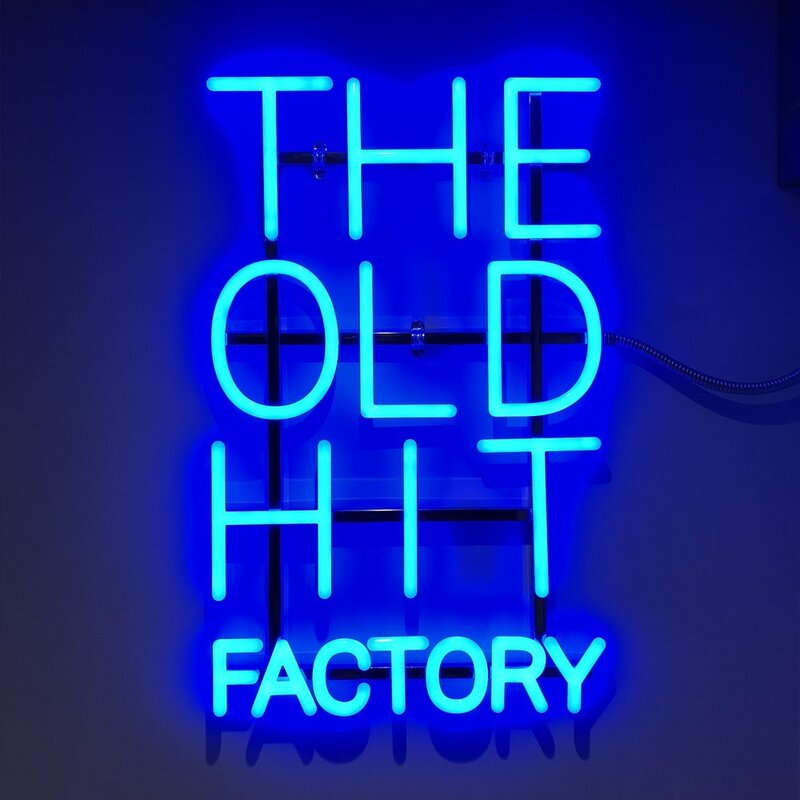 We have many options to choose from including our revolutionary 360degree® LED acrylic neon, single-sided LED neon and colour changing 3D letters, all of which may be rated for exterior use. We also offer lower cost LED options with our array of LED neon flex products available in 5, 8, 10 and 15mm thicknesses. These provide bold and bright solutions for internal environments and look great hanging in windows to get your message across. By manufacturing our products in high-tech Chinese factories we are able to quote highly competitive prices and our experience of quality control ensures very high standards are always achieved. We regularly visit our Chinese partner companies and have developed loyal and lasting relationships. Our business clients love our LED products and we have an impressive client list including; Selfridges, Penhaligon’s, Schuh, Scribbler, Skinnydip London, Lululemon, Clarins, Imagination, Kiss FM and Jamie Oliver restaurants. We are proud to have won an award for our LED Neon at Penhaligon's - Best Non-Fashion Retail Concept at VM & Display Awards 2018 working with our sister company Planarama. 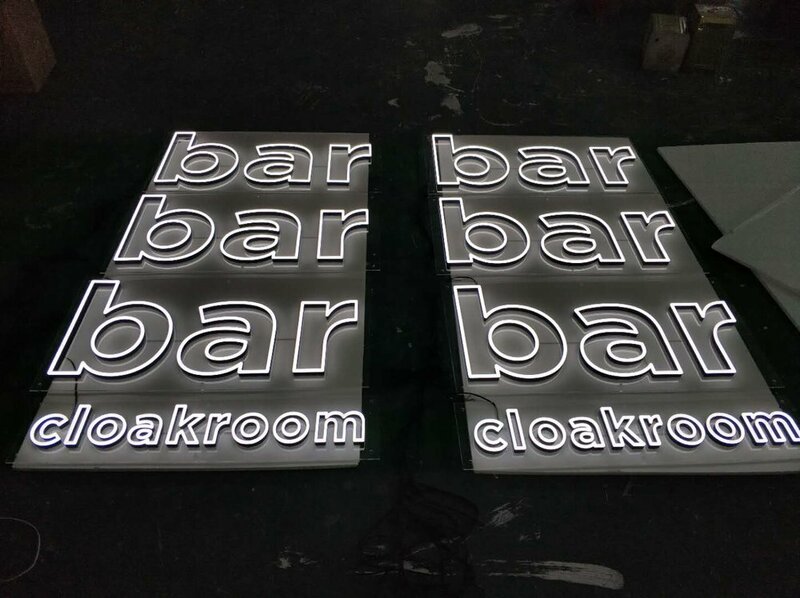 We offer the only fully round LED neon product available in the UK. 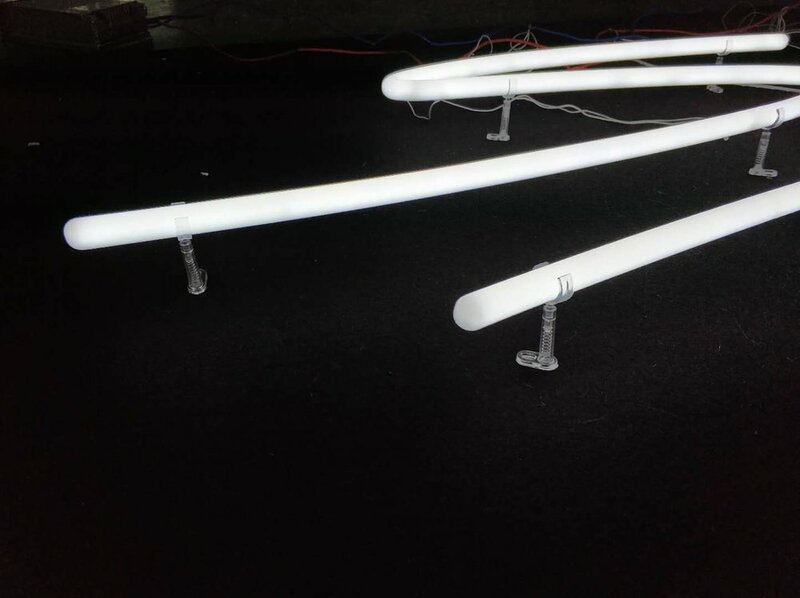 This product is 18mm in diameter formed from acrylic which is finished by hand creating a fully illuminated tube by embedding LED modules within the structure. 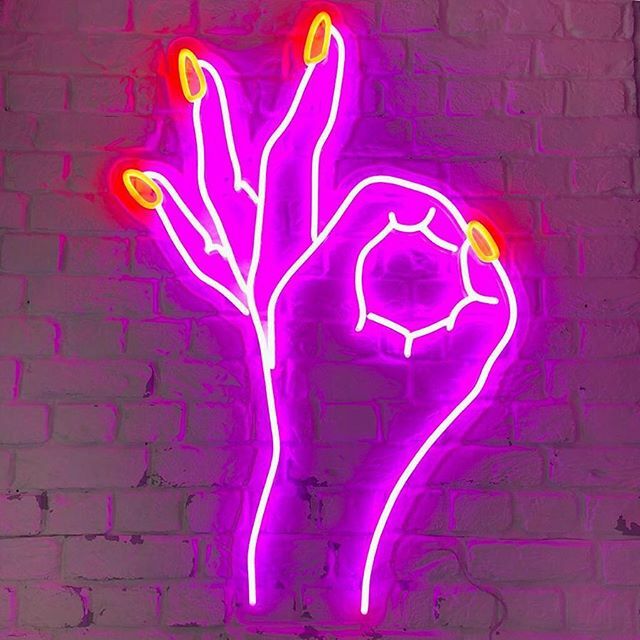 This product benefits from the fact we can use traditional neon supports to hold the LED neon in place, giving an authentic and realistic representation of glass neon, but with the all the advantages of LED technology. Additionally, this system can be made fully rated for exterior use. We also offer multi-functional controls to dim, flash and even strobe the LED light. This product gives a realistic neon effect but with the advantage of having a flat back and is available in a range of widths. The front face is rounded acrylic, finished and polished by hand to create an accurate depiction of traditional glass neon. It comes with the same benefits of our other LED products, brightness, dimmable, bold colours and options for exterior use. We offer a full range of illuminated 3D letters which can be lit from the front and back faces. 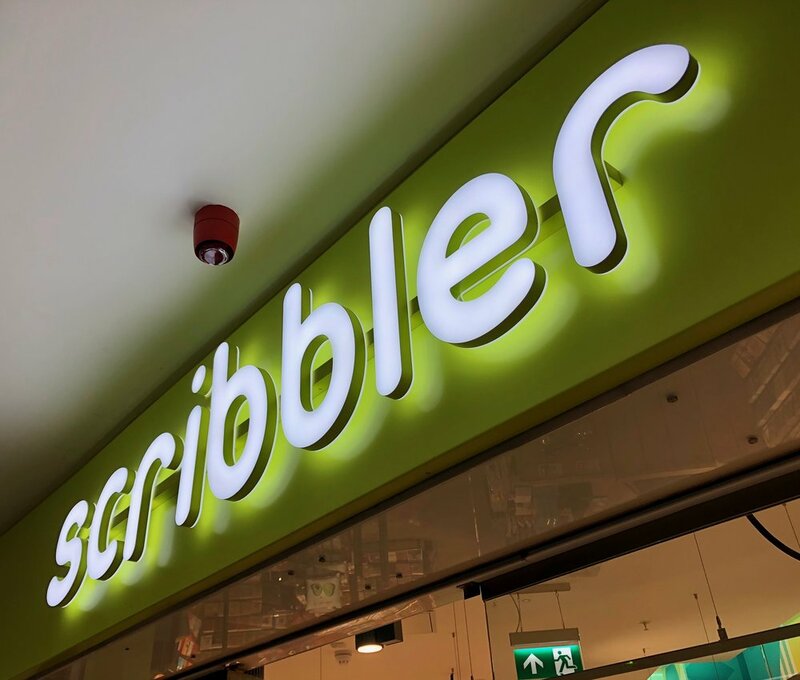 We are currently working with Scribbler producing their new signage; both exterior fascia and double-sided projecting signs. These products offer a great lower cost option for internal use. We offer 5 and 8mm widths in silicon and 10 and 15mm widths in PVC. This product is bonded to an acrylic back panel normally clear but can be black, white or even mirror. It may be cut to shape and supplied to hang or be mounted onto a wall. This is a very robust product and therefore suitable for busy, commercial environments.